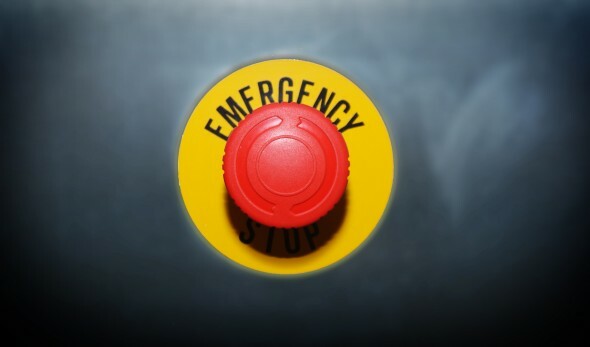 Within a sell-side firm with connections to multiple markets the implementation of a kill switch can become challenging. Each execution venue may use different protocols (FIX 4.2, FIX 4.4, FIX 5.0 SP2, ITCH/OUCH, proprietary) and each venue may or may not have the ability to mass cancel orders or quotes. One very cute implementation of this is a combination of packet capture, switches and FPGA. In essence, the IP connections to execution venues are routed through a packet capture implementation which then decodes the TCP/IP, evaluates the current state of the orders/quotes that have been sent and persists this state. If and when a user executes the kill switch the FPGA in the switch at the edge of the network then sends the messages to the execution venues to kill quotes and/or orders. This requires a high degree of knowledge of the peculiarities of the market - will it accept mass quote cancels and other ways to get out of the market quickly. Or would it be quicker to simply execute a "cancel on disconnect" functionality and drop the TCP/IP session? This sort of control mechanism is one that is seldom considered as glamorous, since it only comes in to use to mitigate a failure. But money spent on a kill switch is viewed in a very different light either after then first failure that could not be mitigated since there was no kill switch or after a failure is mitigated by an implemented kill switch. It is rather sad that FIX did not add kill switch into its protocol. Your list above should just be a valid values list for such a message.